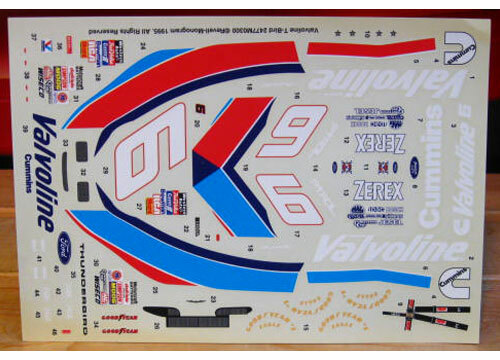 #6 Valvoline Thunderbird driven by Mark Martin in the 1995 Brickyard 400. 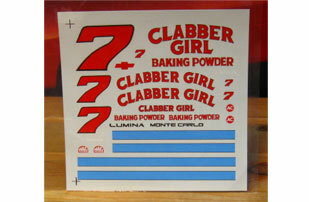 #7 Clabber Girl Monte Carlo driven by Stevie Reeves in the 1995 season. 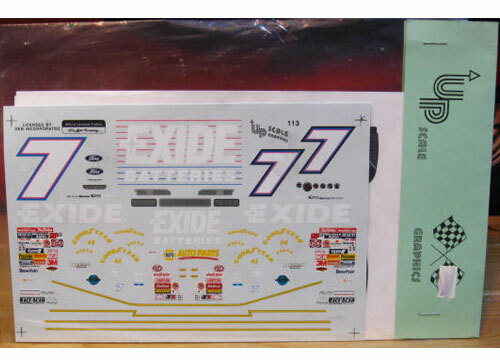 #7 Exide Thunderbird driven by Geoff Bodine in the 1995 season. 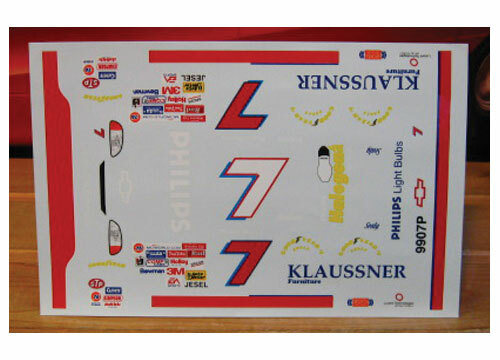 #7 Klaussner/Philips Monte Carlo driven by Michael Waltrip in the 1999 season. #7 Mac Tools Lumina driven by Harry Gant in the 1993 season. 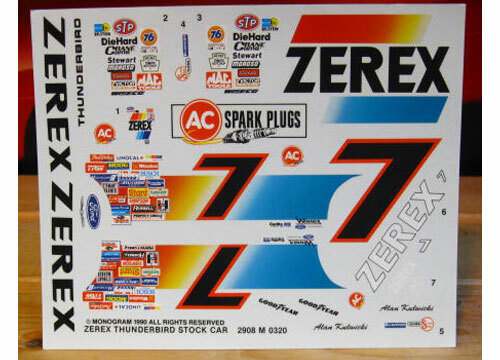 #7 Zerex Thunderbird driven by Alan Kulwicki in the 1989 season. 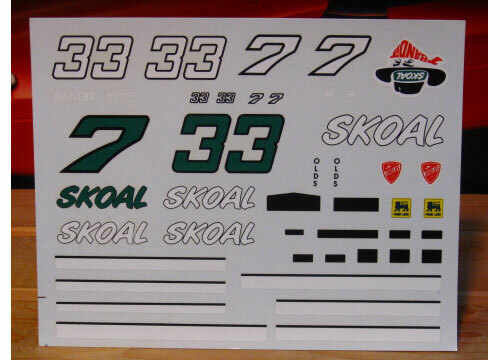 #7/33 Skoal Buick/Olds driven by Harry Gant in the 1990-92 seasons. #8 Elvis 30th Anniversary Impala driven by Dale Earnhardt. This car was raced at Richmond in 2007. 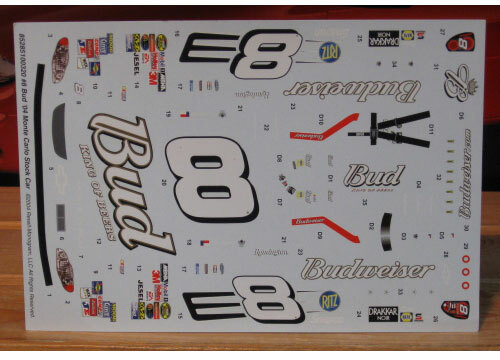 #8 Budweiser Monte Carlo driven by Dale Earnhardt in the 2004 season. 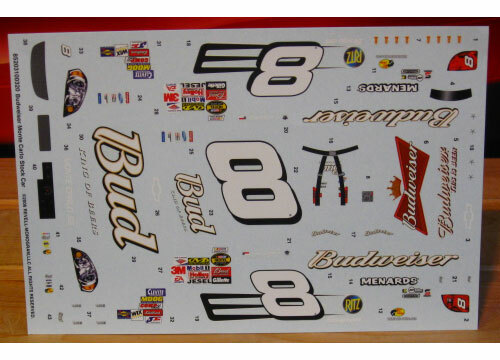 #8 Budweiser Monte Carlo driven byDale Earnhardt in the 2006 season. 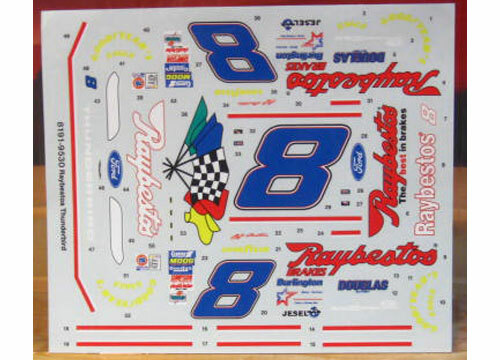 #8 Raybestos Thunderbird driven by Jeff Burton in the 1995 season. 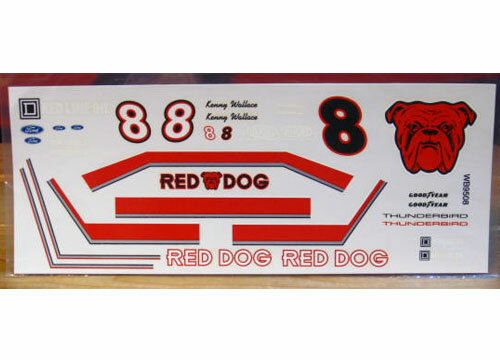 #8 Red Dog Thunderbird driven by Kenny Wallace in the 1996 season. 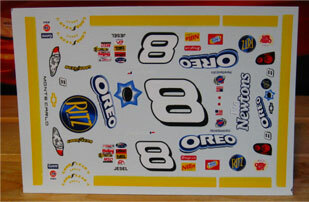 #8 Ritz/Oreo Monte Carlo driven by Dale Earnhardt Jr in the 2003 season. 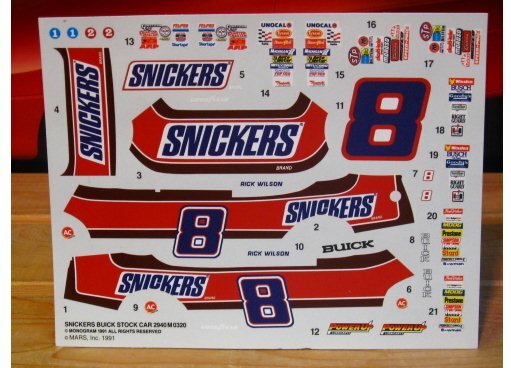 #8 Snickers Buick driven by Bobby Hillin in the 1990 season.